The newest entertainment destination to join Downtown Disney, Splitsville Luxury Lanes may shine a light on boutique bowling but it also brings on the night with a full-scale restaurant, two sushi bars, outdoor seating and live entertainment. 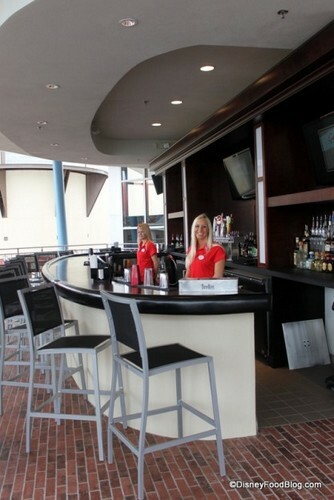 The fun location has a total of five bars, including two full service bars on the patios both upstairs and downstairs. 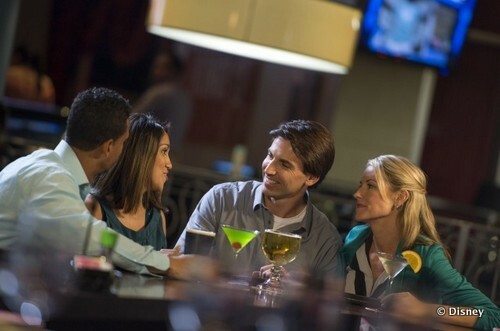 Splitsville's appetizing cuisine is complimented by a wide selection of delicious beverages. The friendly and knowledgeable bartenders here are serving up some flavorsome fruity frozen and signature cocktails include Rum Runners, Pina Coladas, and Snickertinis for about $9. The "bowl drinks" include favorites like the Long Island Iced Tea and Kingpin Margarita and are served in a 18oz Schooner glass for $14. Just to add to the fun, you can order several of the slushie frozen drinks and the "bowl" drinks in a Souvenir Squeeze Bottle, shaped like a bowling pin, for just $5 more. Splitville has a wine list of 25 mostly Californian selections served by the glass or bottle. But it's the 18-ounce frozen schooner of draft beer that is one of the most popular signature drinks and gives new meaning to the term big and frosty. This high-end alley is offering up 10 beers on tap and 14 bottled costing between $4.75 and $8.50 a glass. If you're looking for an extra special brew, you can even try the Chimay Blue Cap just $29 for a 25.4oz/750 ml bottle. This dark Trappist beer with a powerful aroma is designed to age; it's a copper-brown beer with a light creamy head and a deep fruity, peppery, yet slightly bitter taste. Drinking in Disney has their full cocktail menu with beer & wine list online here. You don't need to bowl to enjoy this fantastic new Downtown Disney entertainment destination. With specials running on different nights of the week there's been a large draw of locals and cast members that come to hang out, relax, and join in the fun. 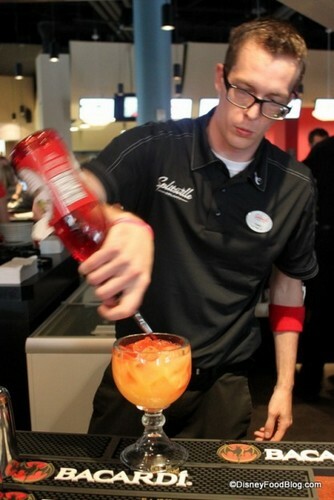 Thanks so much to the Disney Food Blog for exclusive use of their Splitsville Bar pictures. Splitsville is open to guests from 10 a.m. until 2 a.m. and you can use your Tables in Wonderland Card for dining discounts. Have you been to one of the Splitsville Bars yet? We'd love to hear about your experience! Leave a comment below and let us know what you had! We will have to try this! However the best value for cocktails at Downtown is House of Blues Happy Hour!